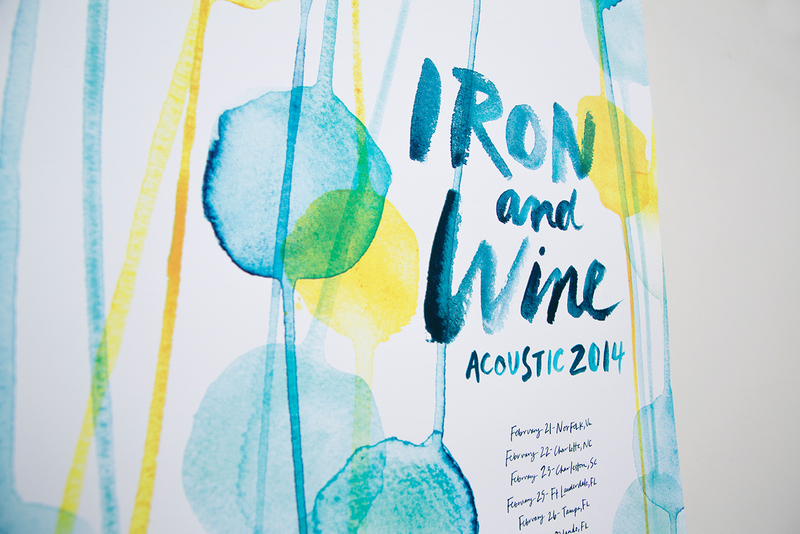 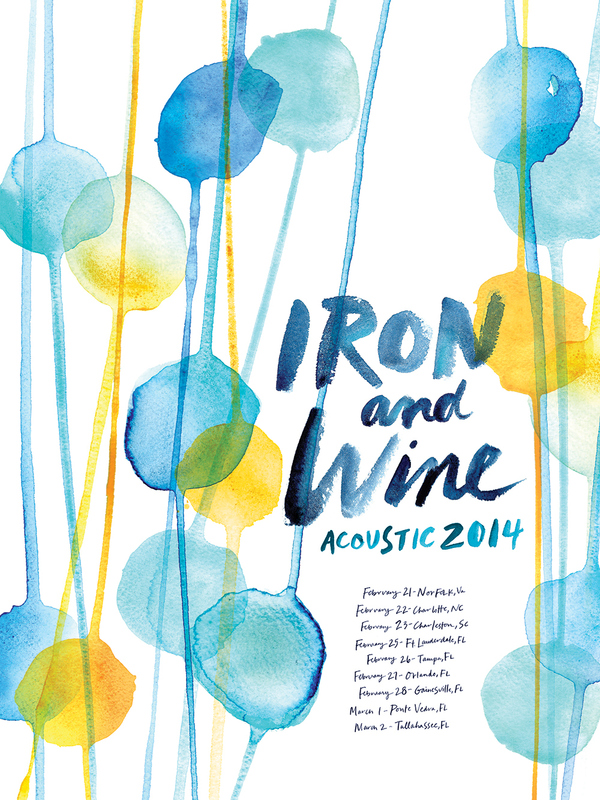 The poster I designed for Iron and Wine's Winter 2014 tour. 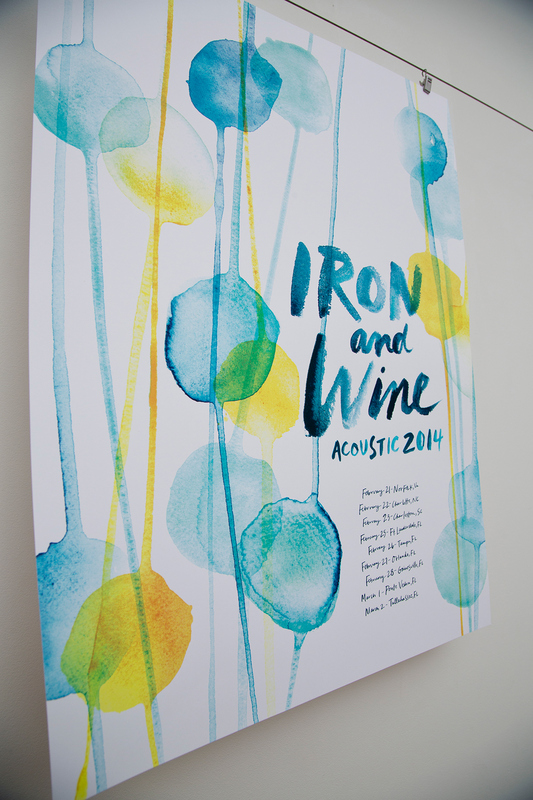 I worked with The Half and Half out of South Carolina to screen print them and I can’t tell you how impressed I am that they were able to make my watercolor look like actual watercolor! 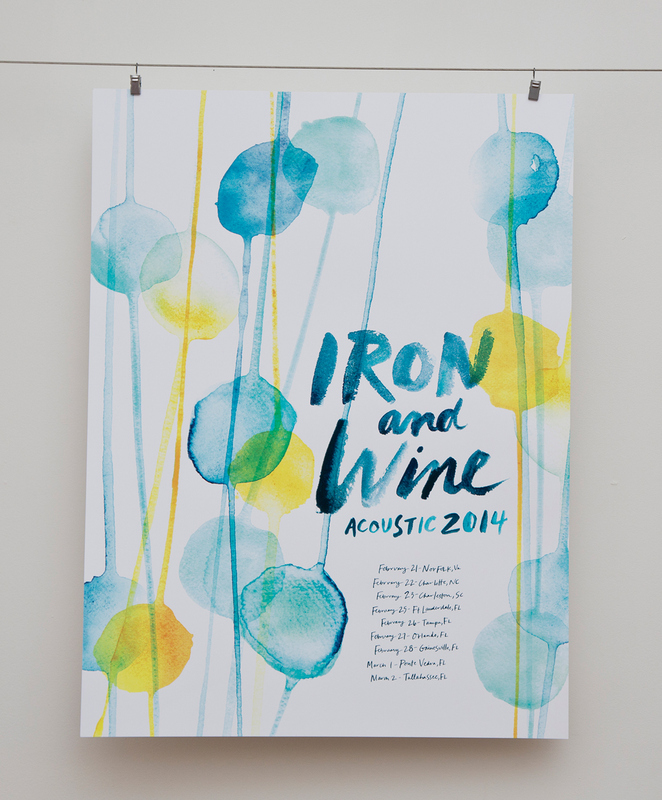 The poster is an abstract interpretation of the theme of Iron and Wine's latest album, Ghost on Ghost—there's a recurring image of couples working things out in life as they move along.